New at Opticare Vision Center in Lebanon, Ohio - OCT Scans! 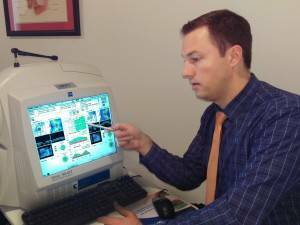 Opticare Vision Center in Lebanon, Ohio is proud to announce the most recent ground breaking technological addition to their practice, the revolutionary new Zeiss OCT scanning device for advanced optical imaging. This amazing technology is similar to a CT scan, and is used to scan the retina and optic nerve at such an incredibly high resolution that it can give doctors an accurate image of your eye down to 1/10,000,000 of an inch. That’s many times thinner than a human hair! 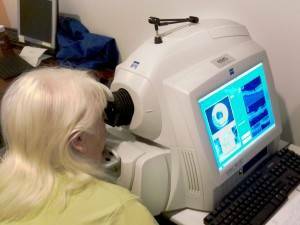 OCT technology is mainly used to investigate, diagnose and monitor common sight threatening eye conditions, such as glaucoma and macular disease. It can also be used to detect many different eye conditions, ranging from glaucoma and macular holes, to wet macular degeneration and vitreo-macular traction. For more information, come speak to Dr. Josiah Young about the new Zeiss OCT Scanning Device, today!